And now we're onto the final world of the game. The Summer Fairy Home. The usual thing in the home worlds where if you go off the edge it'll bring you back up, even if you don't want it to. As you arrive in the world, head around this area collecting the gems before going down to the right. As you go, flame the orange flower, shame they ran out of ideas for a new thing to flame here. As you get to the end of this short path, go to the right and follow the edge along and then continue along the edge as it turns to the left. When you reach it, jump up onto the platform and go all the way up to the top. On the second step up is the second flower to flame. Then right in the middle on the top is a third flower, and all the way to the left is to fourth. And just to the left of that fourth flower, is this 80th fairy. Now, go to the furthest point east on this platform, just past the portal to Space Age Speedway, and glide over to the right and land on top of a platform there. And almost by coincidence, this fairy is just sitting there on top of the platform. Drop down and talk to Bianca. She'll tell you that you need more fairies to get to Grendor. 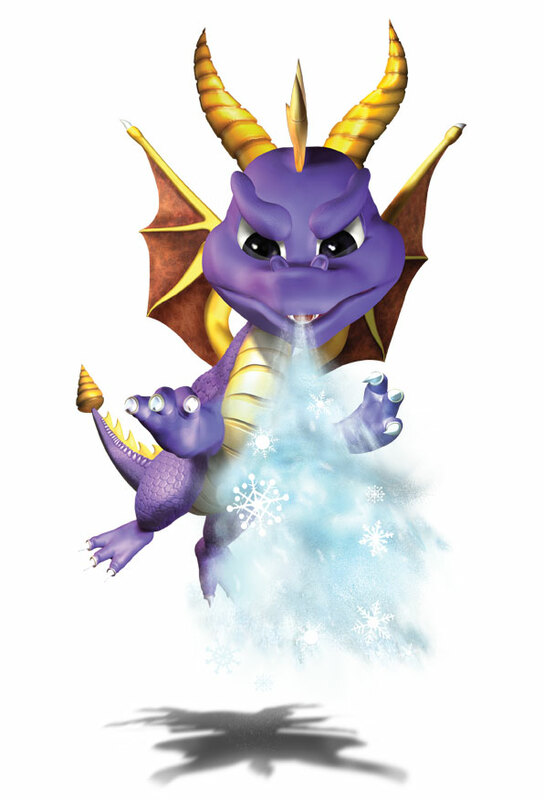 And unlike other Spyro games where you could probably already go and face the boss, here you won't be able to until you get 99 fairies, and the 100th one is inside the level so you'll need to complete everything else before you can defeat Grendor. Head along the path to the left and then carry on in the exact same direction along until you meet up with the 82nd fairy. At the bottom of a dip. Now along to the left and follow the edge around until you reach the fifth flower. Then follow the edge once more carrying on in the same direction. Go right when you can and grab the few gems here as well as the sixth of the flowers. Continue along to the northeast until you see Moneybags, don't pay him yet, then turn and go down to the right. Now, in this area right next to a tree you should find flower number six. Right in the corner next to Dusty Trails. Now, from here head to the southwest and flame the eighth flower as you pass it. As you flame it, you'll be taken off to where the fairy is waiting for you to melt her. And that is that. Full completion of the level. All the fairies and all the gems should be gotten by now. Back along to where you found Merritt, the portal is right next to her. And as usual, the water (maybe quicksand?) off the edge will drown you straight away so keep off it. Head to the left and talk to Sheriff Skip. He'll tell you to clear the level of Rhynocs for him. Go to the right a bit and flame the lamp. The first of eight. Now go along the path behind Skip and then jump across to a second platform with a second lamp on. Go down along the right and continue along the edge clearing this island of Rhynocs. When you get to it, flame the third lamp and grab the nearby key, then go back a little and up and flame the fourth of the lamps. Now up onto the platform at the top of this island. Right in the middle up the top is the fifth lamp to flame. Once this whole island is clear of gems and Rhynocs, go to the far right side of this high up platform and glide over to another platform that is otherwise unreachable. Flame the Rhynoc and grab the life. Drop down to get some more gems and then go over to the right. Now, go along the righthand side of the large island again until you get to the first wheel in the ground. Now glide over to the right here. Then jump to the island southwest of you. Grab all the gems on here and go to the part with the Rhynoc on. Flame it and then jump to the island north of here. Over in the far right corner of this island is the sixth lamp. And right up the top of the platform here is this frozen fairy. Go to the place where that sixth lamp was and jump to the island south of you. Go along to the other end and once again jump to the southwest. Work your way through this place until you get to Farmer Scott who'll inform you about a thief. The thief in question is located a lot further down the island. He's running about but generally easy to catch. Amazingly I ran straight into him as he ran across the screen. You probably won't be that lucky, but he isn't too hard to catch if you're chasing him. Now up onto the set of platforms just to your left and around in the middle you should find lamp number seven. From the very top of this place, glide to the right and try to land on top of the platform with a fairy on. If you can manage to land on it and melt the ice crystal, then this is your reward. Drop down off here and go straight to the southeast. Jump onto the island here and flame the Rhynoc. Jump back and go along the island again all the way to the far end. Go up onto the platform here and go right up as far as you can on the lefthand side. Now glide over to the left and land on the platform there. Up here's a locked chest and a frozen fairy. Jump down off this high platform and grab the gems below it. Glide to the south now and flame the final lamp. And that should complete the level for you. Located at the far left of the level, around about in the middle, but just a bit above. Go to the left a little and Kranky will talk to you. He tells you to find his friend, and to do that you'll need to kill all the Rhynocs. Behind Kranky is the locked chest of the level, and over to the far left is a snow llama. Flame it. Yep, it's the first of the eight. Go up the platform and talk to Louie. He'll tell you to collect some launch pad pieces, six in total. Glide to the island over on the left and straight away you'll find the first of those six. At the far end of this island, jump over to the next one north of it. Grab all the gems and go up to the top here, flame the snowball throwing Rhynoc and collect the second of the launch pad pieces. Glide over to the left. Melt the second snow llama and then go along to the right. Go up onto the high platform and flame the two Rhynocs throwing stuff at you. Glide over to the right now, and land on top of a platform that is unreachable from the ground below it. Up here is the third of the launch pad pieces and the third of the snow llamas. Drop down and grab the gems, then jump off to the left onto another island. Flame the Rhynocs here and collect all of the gems. Then jump up to the top of the platform and flame the frozen fairy. There's nothing to do but melt her. Jump down to the left and then across again to another island with just a fairy on. Melt the fairy to get it. Go back to the previous island and go along it till you get to the fourth snow llama. Then carry on even further. Here you should find the fifth llama and the fourth launch pad piece. Glide down to the left, then once that's clear, glide to the south. Flame the Rhynoc on this island and then jump over to the right. Go up the top of the platform here and collect the fifth launch pad piece, the sixth llama and the 93rd fairy. Located right in the middle, all frozen. Now onto another island southeast of this one. Before moving on again, make sure to flame the seventh llama. Then once this island's clear, go on to the southeast again. Go down the quite long path until you get to a rather large open area. Go up to the top here and jump up to get the final launch pad piece. The rocket will now launch, and Louie will give you the fairy to melt. Over to the far left of this island you should find both the key, and the final llama to melt. As soon as you melt it, the fairy will appear quite near to you, so you won't be suddenly back halfway through the level again. After that, head all the way over to a place where you can jump over to another island to the east. It's located directly south of where you got Tammy. On this island you should find almost all the remaining gems (still got that chest to open) and the final Rhynoc. Oscar will appear over by the portal back to the Summer Fairy Home. That's the last of the fairies of this level. Now go up next to the fairy, and glide over to the northeast and land on the island quite far off, you won't be able to see it from standing. Now right in the corner here, jump to the island south of you. Here you should find the locked chest and the final gems inside. Now head on home. At last, the final speedway. Located up north. Same setup as usual, choose Normal mode in order to get a go through collecting the gems, then once you've done that go through again to try to complete it. The order in which things arrive is as such: First a load of strange flying things, green = nothing, yellow = +1, and blue = gem. Just shoot like crazy at everything, and since they're flying away from you they can't hurt you at all. After them come another bunch of strange things, and like the jellyfish of the previous Speedway, smaller ones surround a larger one, destroy the small ones first. They also tend to hurt you a lot more then the jellyfish did. And next another load of weird creatures, it looks a bit like they're on flying pogo sticks. Anyway, the red ones give you gems, brown ones nothing and yellow ones +1. And then some rings to go through. After that, a load of bi-planes. Green ones nothing, yellow +1 and blue gives you a gem. Avoid them as they get close to you as they do hurt. And finally comes the large very tough dragon. A lot of shooting and about a minute of time should do you well. And as soon as you finally destroy the dragon, Sparx will give you this one. Now, either go back through again to get the rest of the gems, or go into Hard mode and collect the fairy there. Remember though, Hard mode means it's more difficult, you've got less time. Finally, once the dragon is dead in Hard mode. You'll need at least around 30 seconds when you reach the dragon if you've any chance of killing it. Now that's that. And now Exit back to the Summer Fairy Home. Located over behind Moneybags in the middle of the eastside of the homeworld. Pay him the 1000 gems he wants to let you through. Grab the gems in this room and go along the path shooting bugs as you go, all the way to the other end with the blue key. Go back along the passageway until you reach the blue door to go through now. Go along here shooting the shooty bug and then a large caterpillar followed by a large bug. Go down and follow the path. Charge through the blue door at the end and destroy the two ant hills in here as well as grabbing the red key. Back out to the main corridor and go through the red door just north of the blue one. Go through the large room straight across to the left and then up to get the green key. Then go back into the large room and destroy the bugs in there, except for the thing spawning the large bugs of course at that's still protected. Out and through the green door here. Go up here and destroy the ant-hill before going left and up in order to destroy an ant-hill. Then go down the other way to get some gems. After that out into the room on the left which houses both a large caterpillar and the purple key. All the way back out and through the large purple door. Destroy the large bug spawner by aiming diagonally. South of it is another one to shoot, easier this time though, and just to the right is another one of those strange looking things that does nothing at all except hurt you if you run into it, but it will also release a butterfly when destroyed. Destroy it and the bug spawner behind it. Now go back up and along the path leading northwards. The path ends at a purple door. Guess what's behind it. That's right the boss. The best butterfly power to have on you when you go in is the shield one as that will protect you for a short time while you pummel it with your normal shots. After that grab the purple butterfly in here and use it while the beetle is on teh screen, then if he's still alive use the red butterfly and throw all the bombs at it until it finally explodes leaving behind a fairy. As soon as this fairy is released you get a new ability to warp to any level in the game that you've already visited. And that should be that. Collect any last gems you need and head back to the homeworld through the portal that just opened up. Now it's on to the final boss. The edges here will now kill you straight away so no falling off please. The level's the same as before in shape so go to the middle where Grendor is waiting for you. An identical battle to before will start. Instead of fire balls they're ice balls. Just circle him till there's an opening for you to charge him. Try to keep him in the middle of the arena when he jumps up, the large shadow means that he's on his way down. Repeat for a total of eight hits to finally destroy him. And once that's all over, you'll get Zoe, the story will wrap up and the credits will roll. Moneybags is waiting for you outside the level and will give back all the gems, strange how this is the first game where he's done that without being forced to. (He makes up for it in Enter the Dragonfly by never giving back the gems he takes). Dragonfly X is a strange little game. There's not much point to it either. If you wait a while it'll show you a demo of it, but it doesn't do very well. Anyway, the point of the game seems to be to destroy the bug in the centre. To do so shoot off enough of the outer shield so that you can get a shot through to destroy it. However it will shoot back if it has a chance. Each time you kill it you get 1000 points, the barriers give you 10 points per and the little bugs that it sends out give you 50. There are several butterflies that appear which will give you special weapons to use. There's nothing really to do apart from compete for the highscore with either yourself or someone else. Ah well. That's all for the game. 100% completed and the extra game tried out (you can now access it from the main menu as well). Goodnight! Space Age Speedway It's very difficult but tap A really fast! On the beginning get at least 1:02! Then the miniboss! Avoid getting hit and defeat the miniboss quickly! The Weird Creatures! Shoot them fast and avoid getting hit! Go through all the rings! Shoot a lot of planes and get 50 Seconds atleast or just around 50 seconds! Shoot the metal dragon quickly! That's how i did it and it went succes but after many tries! The only part of the game i didn't liked is really Space Age Speedway! I don't know why but i have 302 gems on the main world. I did not even cheat on this game. It was kinda wierd because you don't really kill Grendor, he just gives up and Zoe zaps him back to his origanal form. It's funny, cuz' Grendor is really a small, PINK rhynoc. Also, it says that Grendor read the spell from the Spell Book UPSIDE-DOWN. You'd think he'd noticed that quickly! grendor is hard, Sombody help me! The Space Age Speedway on hard is difficult. The best advice I can give is, instead of holding the fire button down, press it really fast, that way you'll shoot more quickly. Try to hit the dragon even when he's far away, and when he comes towards you, move to the side instead of up or down, because you can get back to shooting him more quickly. Probably not much help, but it's how I manage it. After a lot of cursing every time. I've tried and tried and tried and tried and tried and tried and :skips 1000 years of saying and tried, but i just can't do space age Speedway HARD MODE. can anyone help plz! Im moveing on to beetle burrows insted! I have like 145 fairies doing what Unbirthday Spyro said. I got 10 gems using a glitch that has the risk of corrupting the game. It's Fun To Beat Grendor, Since I Haven't Had Alot Of Faries. I Did The All Portals Code And Beated Grendor, The Portal Will Still Be Open But It'll Show The Ending Of The The Battle And The Credits Roll Again. I Don't Know How Much Faries You Can Get But I Ran Into The Portal Until I Had 100 Faries.